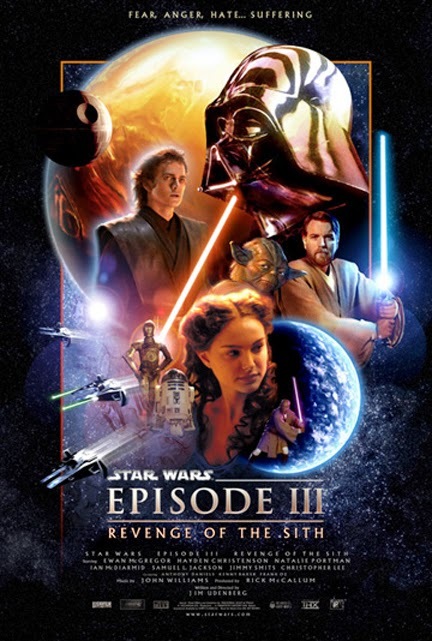 It's very rare that a movie series keeps breaking records after records but Star Wars did it and made a hat-trick when they released Start Wars - Revenge of the Sith (2005). In total, 72 sets created for Star Wars: Revenge Of The Sith. The largest set was the stage where Anakin Skywalker has an epic lightsaber battle with Count Dooku [played by Christopher Lee in the movie]. Christopher Lee wasn’t on set when the fight scene between Count Dooku and Anakin Skywalker was shot. A stunt man performed the fighting choreography and his face was replaced with Lee’s. In other parts of the scene, a completely digital Count Dooku was used, too. Adding a mechanical arm to Hayden Christensen’s body in the movie’s bedroom scene was an interesting challenge for the Star Wars special effects team. During the filming of the shirtless scene, Christensen wore a blue glove on set. The special effects crew later replaced the glove with a computer-generated robotic arm for the finished film. George Lucas and his two daughters make a cameo appearance in the hallway of the movie’s elegant opera scene. George’s daughters refused to appear in the movie unless their father joined them. In the finished film footage, the director has a blue face and can be spotted talking to his younger daughter. His oldest daughter is in the center of the hallway as Anakin Skywalker runs past. George Lucas’ first draft of the screenplay for Star Wars Episode IV: A New Hope was very different to the finished film. In his early scripts, Han Solo was a giant green alien and R2-D2 talked full sentences. The original draft for A New Hope saw the story visit lots more locations that were cut out of the movie. Some of these locations included the Imperial Capital and a palatial estate. In the original movie scripts, Obi-Wan Kenobi survived his iconic fight with Darth Vader. Why did that change? Whilst filming the movie in Tunisia, George Lucas decided that the Death Star wouldn’t be menacing enough without a significant death – and the fatality of Obi-Wan Kenobi was the result. Film cameras were allowed inside the Film Archives at Skywalker Ranch for the very first time in order to film this exclusive bonus feature for the new digital release of the movies. Inside the film archives, the original film audio and video material from all six Star Wars movies are housed. This includes all the dailies and work prints from the original trilogy! Check out the bonus feature to see the original work prints for the 35mm hologram of Princess Leia in A New Hope. I am really having fun to read this stuff as I am getting to know it for the first time ever. I still hope it will be of some value to all of you fans out there.